I switched alphabet and calendar days. Sorry for any confusion this may bring!! Welcome back for Day 2 of Back to School Basics, a week long feature with giveaways, freebies, and linky parties! Today I'm featuring products for Calendars!!! I use the calendar to keep track of time for appointments such as parent conferences, meetings, birthdays, celebrations, and holidays! For young learners, time beyond several weeks to a month is a hard concept to grasp. So why do we focus on the calendar? Calendar time can develop and foster math skills for primary concepts with repetition through instruction. As a member of the leadership team for mathematics, I conducted math focus walks for our School Improvement Plan. During my walk, I was able to see calendar routines, math focus walls, math word walls, benchmarks and essential questions posted. This unique experience provided me with the inside on how different classrooms and different grade levels teach calendar routines. There are three sources in which I've stalked for years! Mrs. Nelson provides a wonderful visual of what skills are taught and when she teaches them throughout the school year. Link here to view her scope and sequence! My sweet Vegas friend, Shari Sloane of kidscount1234.com always does a wonderful job at teaching concepts with materials you can find in any classroom. She provides her kiddos with concrete applications to math concepts and provides teachers with free reproducibles for Calendar Journals. Don't you love free?!? Mrs. Meacham is a hero of mine. 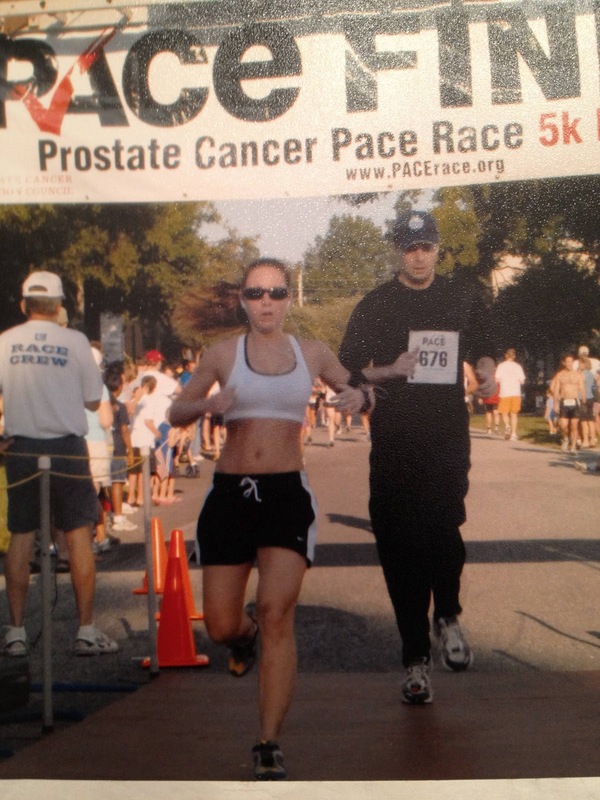 When I started teaching, I was glued to her website for personal support. WARNING... you must allow at least 30 minutes to scan her website. You'll need at least a week to read all her content. Topics include Calendar Smartboard, Calendar Wall, Calendar Binders, Calendar Folders, Calendar Journals, and Calendar Songs. Ready to be amazed? Link here! As a looping primary teacher, I'm constantly looking for ways to engage students with new concepts as we grow together on our journey to second grade. After searching through Teachers Pay Teachers, I found more than 3,500 files and more than 550 of those files are FREE! Kathleen Pedersen of Growing Kinders has one of the best products I've seen this year! I scooped up these bad boys quick. Aligned to common core, the golden words, her calendar routines are a perfect fit for any classroom. Kathleen provides programmable pages to continue skills for kids or classes needing additional practice! My heart flutters!!! Kim Adsit and Shari Sloane, two powerful presenters, teamed up to create The Student Calendar Book. This 108 page file doesn't just include student pages but also includes directions, questions, and extension activities to align. I may be a little biased here but I HEART this next product. This summer I worked to revise my Year-round Calendar with Seasonal Prompts. I provided monthly headers and calendar date cards, but what makes this product stand out from other calendar units are the seasonal prompts. Each month features 24 prompts to promote listening and speaking skills...COMMON CORE! I created this next file for K/1 classrooms. I know the seasonal calendar prompts are a hit with my kiddos. They were always so eager to see what the next prompt would say! I want to tap into this excitement with my newest product. I uploaded Calendar Fun with Prompts tonight and I'm so excited. My file includes three different sets of calendar cards: bird cages, dinosaurs, and zoo animals. I included three graphics for each theme. You can mix and match the graphics to create patterns. Also included are prompts for beginning reading, short vowels, long vowels, about me story starters, nursery rhymes/fairy tales, and beginning math. You'll find links to editable files embedded throughout the document to add names for birthdays, holidays, or even your own prompts! You will have an opportunity to win each of the above copies! The requirement for entry is to follow all stores and can be done by clicking the product images above! One winner will be randomly selected on Saturday August 4th. You are only permitted to leave one comment. All other comments will be deleted. Please include an email!!! Deanna Jump has update this file for the 2012-2013 school year. This is a free Monthly Planning Calendar. It includes inspirational quotes and a place to keep track of important dates. Leslie from Kindergarten Works also has a 2012-2013 calendar. Seeing similar products but how differently they can turn out show why we need an open marketplace like TpT around. 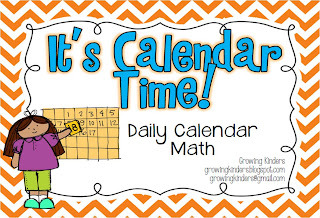 Jodi from Fun in First Grade created her calendar with Thistlegirl graphics. I love these graphics. 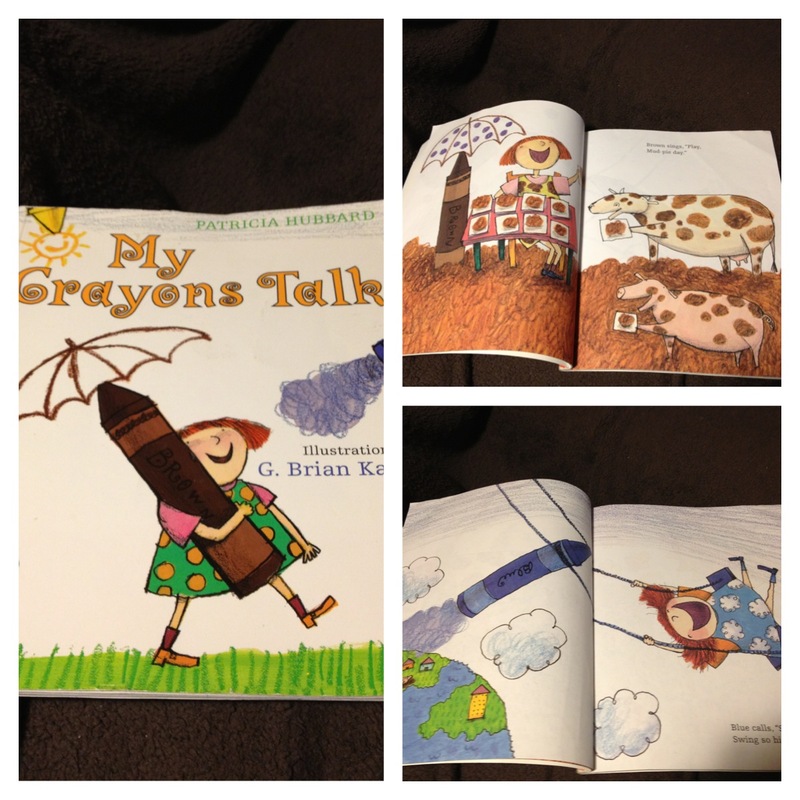 You can find a free download located on her fabulous blog! Erin from Eberhart's Explorers has a student calendar journal page that has been floating around pinterest for a hot minute. I love the simplicity of this page! Stephanie from Teaching in Room 6 has a student calendar journal page that has also made its rounds on pinterest. 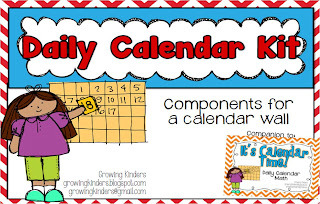 I'm so excited to feature a calendar post for big kids too! 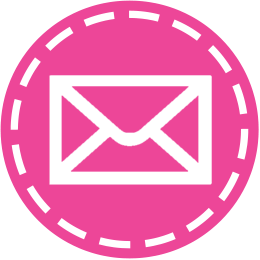 Kacey from Doodle Bugs Teaching has offered monthly calendar freebies for the past year. 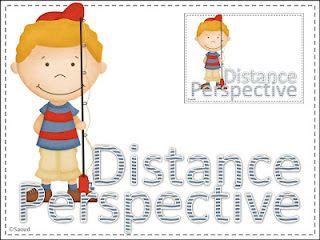 She has provided the latest in cute clipart and generous with timely post! I'm linking her free label from her store. This will include a few additional files other than calendars but we love free, right?!? Denise from Sunny Days in Second Grade has themed activities which include days of the week, base ten blocks, skip counting, counting money, expanded form, patterning, time and estimating. 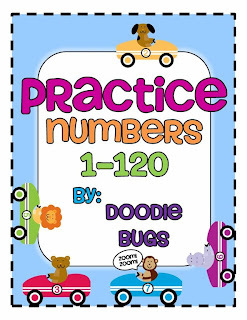 File also includes new "math blast" pages with interactive practice and relevant links to online game sites. You can easily edit the file to meet the needs of your students. 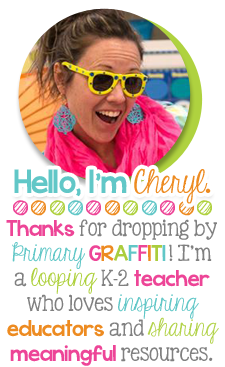 My sweet friend Rachelle from What a Teacher Wants has been pumping out freebies for years. If you haven't already read her post and downloaded all her fantastic freebies, you'll want to link now! Her title makes me think... Sid the Science Kid! 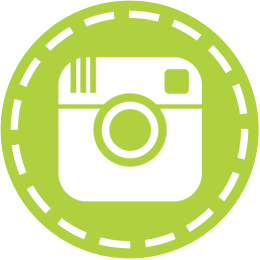 Do you have a Calendar "FREEBIE" product you'd like to feature? 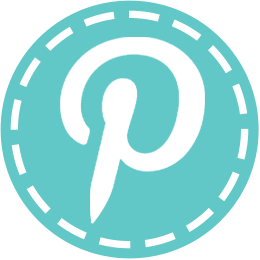 You are welcome to join my linky party here but it must be a direct link to a post on your blog or a FREEBIE product in your store! Please follow the rules, I hate having to remove links!!! Back to School Basics! 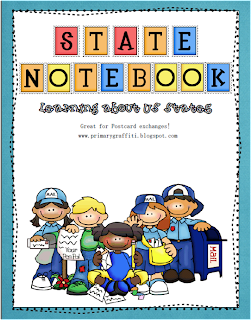 Common Core Giveaway and Freebies!!! 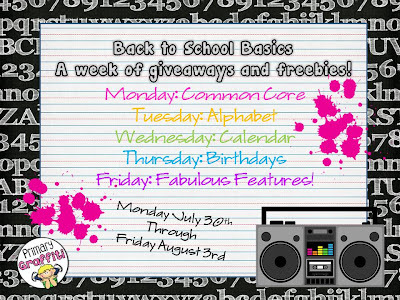 Welcome to Day 1 of Back to School Basics, a week long feature with giveaways and freebies! Today I'm featuring Common Core! Unless you live under a rock, you've probably heard of Common Core State Standards. If not, you need to check out the official website here! Have you seen my Mastery Connect Widget on my sidebar? I have the same one for my phone too! 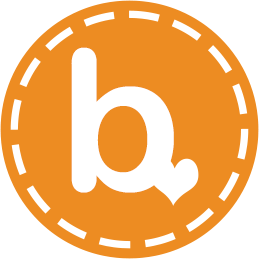 You can pick up a widget for your blog here. As a brief overview, forty-five states have agreed to implement a set of Common Core State Standards (CCSS) in an effort to ensure equal learning from state to state. Common Core is a set of curriculum standards, covering Language Arts and Math, based on content students will need before entering college. The purpose is to provide a consistent, clear understanding of what students are expected to learn. They’re also designed to reflect knowledge and skills students will need for success in the real world. CCSS demands a more complex level of reading, thinking, speaking, and writing for all students. As implementation continues this year, many teachers are forced to prepare lessons and materials to align with the Common Core Standards. 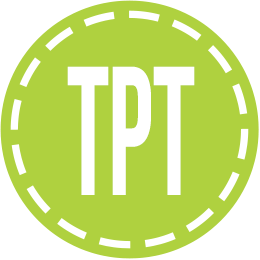 Teacher Pay Teachers is an open marketplace for educators that offers many wonderful resources aligned with common core. In a recent search, I found more than 9,000 common core aligned products and almost 1,000 freebie files. In July 2011, Deanna Jump featured her kid friendly Common Core Standards. This 200+ page document includes various color combinations to meet different classroom needs. I love the picture representation to align with each standard. Deanna has prepared files for Kindergarten and 1st Grade. 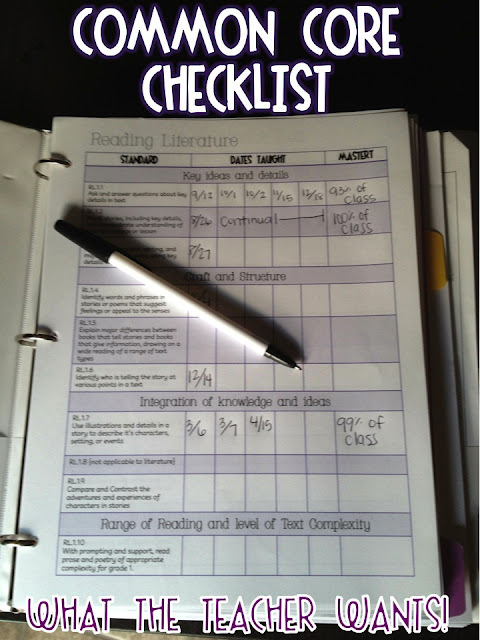 Common Core organization and accountability has never been so easy with Rachelle Smith's Common Core ELA Checklist and More. Keeping track of what standards are addressed, the dates of instruction, and percentage of class mastery has been simplified with this document. Rachelle has prepared Common Core Galore for Kindergarten, 1st, and 2nd Grades. For successful implementation of Core Standards, students will need vocabulary support for key concepts. 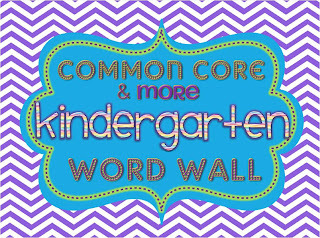 Anna Brantley's Common Core and More Word Wall provides visual clues with more than 200 vocabulary cards for Language Arts and Math. Anna has prepared files for Kindergarten and 1st Grade. In June 2011, Deedee Wills created Common Core Kindergarten Math Assessments to align with Core Standards. Assessing individual students can be time consuming and frustrating. Deedee has developed forms for efficiency with whole group assessing. Included are forms to record student assessments, a few oral assessments, and WONDERFUL whole group assessments. As a math lead, I'm always looking for new and creative ways to support curriculum resources to support the standards. Erica Bohrer, Kacey Mclendon, and Hadar Maor have products in which promote number sense with phenomenal work stations! I'm eager to use my fabulous Common Core files this school year! And now you will have an opportunity to win each of the above copies too!!! The requirement for entry is to follow all stores and can be done by clicking the product images above! One winner will be randomly selected on Saturday August 4th. You are only permitted to leave one comment. All other comments will be deleted. Please include an email!!! Are you still wanting more?!?! We are teachers and always want more. I want to spotlight a few fantastic freebies. 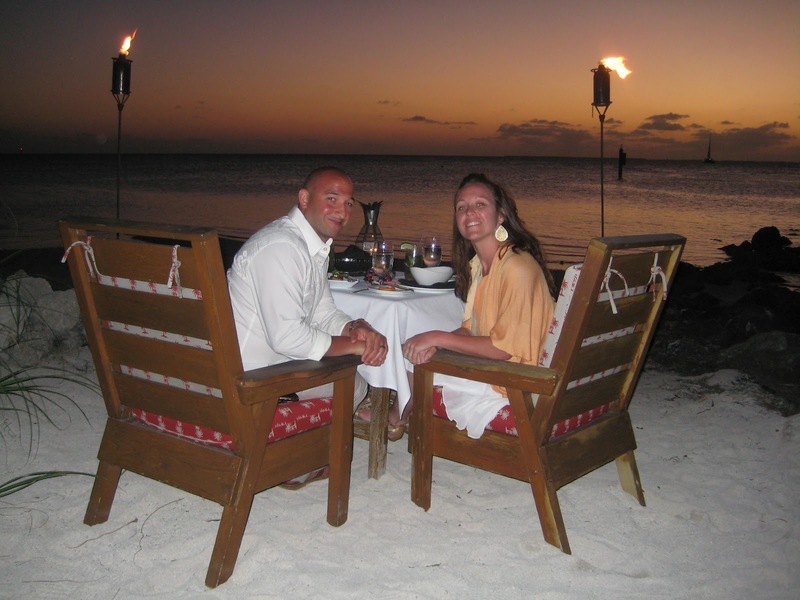 Rachelle Smith has featured a powerful post with great links and downloads. I love that her county has made available scope and sequence for Kindergarten through 6th grade. Libby Allen, a dual education teacher in California has prepared Kindergarten Standard Checklist in Spanish! Hello, need I say more?!? Marsha McGuire, from A Differentiated Kindergarten, has provided a differentiated work station for write the room. 1st Grade Hip Hip Hooray has offered Common Core Skill Ring Assessment Pack for a freebie download. 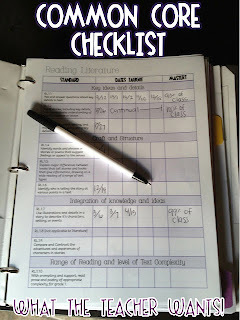 I actually love using skills rings in my work stations and was intrigued when I saw her file on TpT! 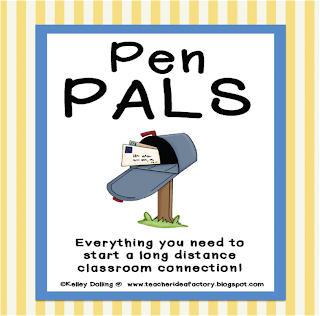 Do you have a Common Core "FREEBIE" product you'd like to feature? 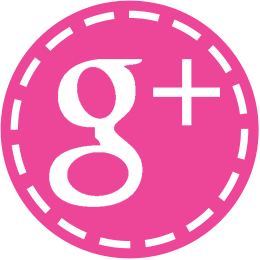 You are welcome to join my linky party here but it must be a direct link to a post on your blog or a FREEBIE product in your store! Please follow the rules, I hate having to remove links!!! 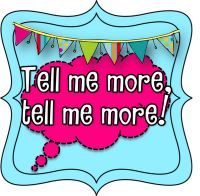 I'm linking up with Amy Lemons for Tell Me More Linky Party! 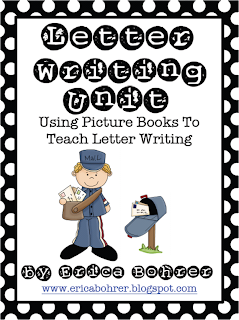 My blogging adventures began in 2009 with my 1st grade class. We are a military city and many parents were on a tour of duty. I couldn't think of a better way to keep our class connected with those serving over seas. At the end of the school year, I send home a survey asking parents for their impressions of the school year. Since I was looping with this group of kids, I wanted parents to let me know the best communication tool. I was overwhelmed by the response of the blog. 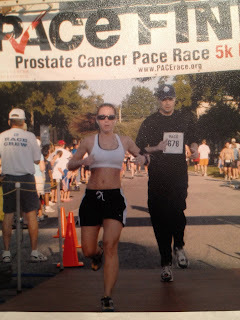 By the start of 2010 school year, I added pages to the top of my blog with resources for my parents to access. You could hear the sound of a slap on my forehead when I realized most of my comments were coming from Teachers. By February 2011, I called upon my friend Kristen at Ladybug Teacher Files to assist with a new design. Mrs. Saoud's Class became Primary Graffiti. I was a child of the 70's and 80's. I played with pogo balls, cuddled with my cabbage patch kid and pound puppy, and played outdoors til the sun began to set, looking for blackberries to pick! My family is amazing. We are cousins that grew up like siblings. My childhood treasure! You can see some of the real gems of the 80s. My Little Pony was a girls best friend. The doll with lemon scented hair. Yes, those were the 80's. I was a BIG fan of Debbie Gibson, Tiffany, NKOTB, and Madonna. Graduated High School in 1997. I'm terrified that I'm gonna trip on my face in front of the entire arena. I'm looking for the exit already! Graduate College in 2001. Still looking for the exit. We stay active together. We look like we're out for a country stroll. We decided to take a trip a few states north and go mountain biking. This photo was taken after several terrible tumbles off the side of the mountain. I married my best friend on Easter Sunday 2010. 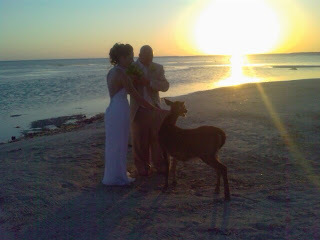 Our ceremony took place on Little Palm Island off the Florida Keys. We decided on a sunset exchange. Our four legged visitors were such a lovely surprise! Take a deeper look at Primary Graffiti w/ Linky Parties from 2011! I love UFC. My husband is happy and I get to work guilt free! My Reading Genre Posters features 18 genres. I provided one of each genre with text example and without text example. 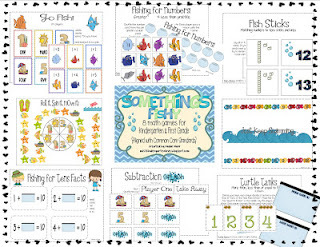 Each poster is available in full and half size pages for any bulletin boards. I worked to match the style of my Comprehension Skill and Strategy Posters. The annual postcard exchange has arrived. I’m beyond excited!! 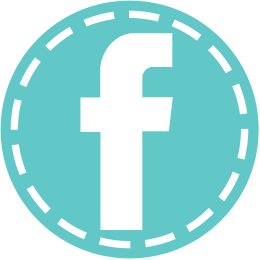 I opened the exchange to teachers I collaborate with through Facebook first. I know this will make some teachers sad because a few states are closed. Please read carefully to ensure you wish to participate. If you have any reservations, please pass on signing up! I’m accepting two entries from each state. I will host one and assist the second exchange. To make it easy, I have a sign up form in Google Docs. Unfortunately, I won’t be able to give minute by minute updates. I will post the last name and state from the entry forms. This exchange will be first come, first serve. Supplies Needed... 49 postcards. I know what you're thinking... you are the 50th state. 49 stamps. AND labels! You will receive 49 postcards in exchange. Here’s the deal... We all have the crazy years where you’d like to be anywhere but stuck between four walls with a particular class because, to put it simply, they're nuts. I know you spend a penny or two in your classrooms each year and then realize you were in more than you thought… we cannot allow these things to impact our commitment to the exchange! Purchase or create your postcards once you have confirmed your name/state was selected for the exchange. This exchange DOES cost money. Expect to pay 30 dollars for postcards, postage, and labels. 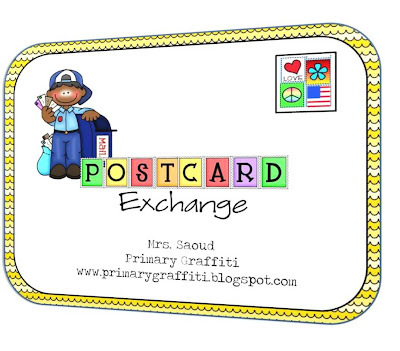 Allow students to have ownership of the exchange by creating a message with the class, it will be more meaningful when they receive the cards. I usually list a few state, city, and class facts on my card. I will create a chit-chat chart (thanks Deanna) and have the kids glue in a piece of clipart. This will complete the sentences for my message, and I have control over the message being written. I will have this message prepared on labels. 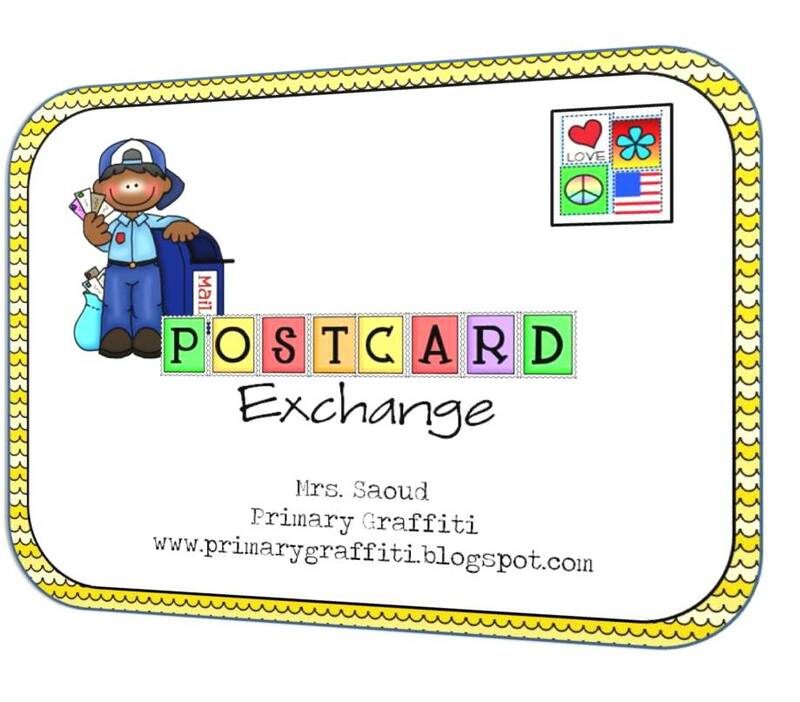 The kiddos will go back to their seats and add the address and message sticky labels to the postcards. All cards must be mailed by October 31st. I know we have different start times. I’m also aware of how challenging life is at the beginning of the year. This deadline should be enough time to get the cards out after the first quarter. You have no further commitments and will receive a card from each state in exchange. In past exchanges, I've seen teachers that read their cards when they are received and this is all they commit too. That is fine! Others will create lessons and share cards on specific day. 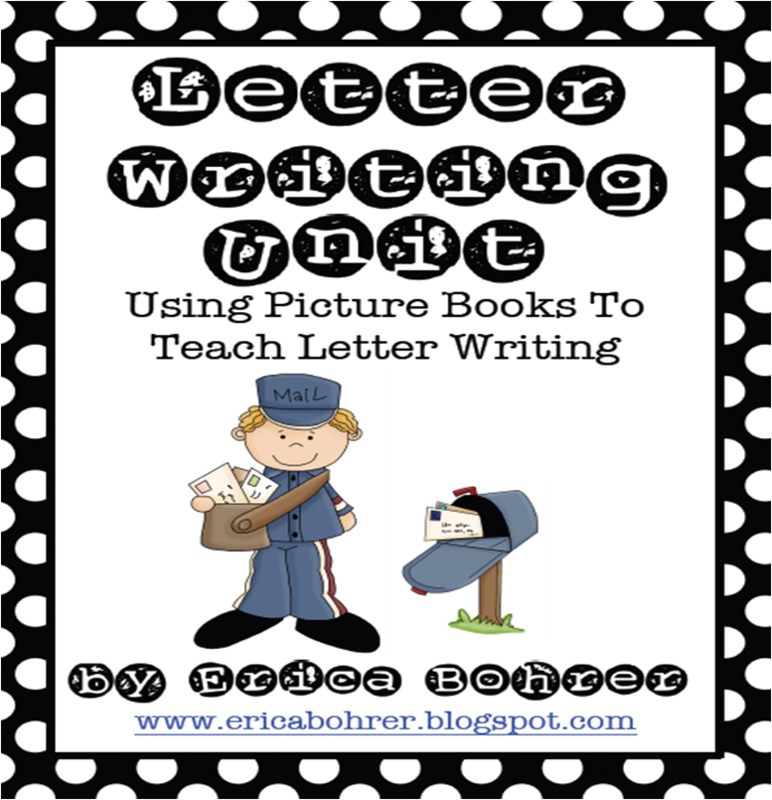 Erica has a magnificent Letter Writing Unit she uses at the end of the year and saves the cards for the time that suits her classroom needs. I created a FREE state notebook to use when introducing states. The majority of this file is cut and paste for young learners. I take the kids on a webquest to look at all the images in advance (links provided). Want to blow their little minds? Google Earth the address on the card. When they see the playground at the school with kids on it… They really think they’re seeing the kiddos that sent the cards. It’s sooooo cute! THIS SECTION HAS AND WILL CONTINUE TO BE UPDATED!! For the bad news… Alaska, Alabama, Arizona, Arkansas, California, Colorado, Connecticut, Delaware, Florida, Georgia, Hawaii, Idaho, Illinois, Indiana, Iowa, Kansas, Kentucky, Louisiana, Maine, Maryland, Massachusetts, Michigan, Minnesota, Mississippi, Missouri, Nebraska, Nevada, New Jersey, New Mexico, New York, North Carolina, North Dakota, Ohio, Oklahoma, Oregon, Pennsylvania, Rhode Island, South Carolina, South Dakota, Tennessee, Texas, Utah, Virginia, Washington, West Virginia, Wisconsin, and Wyoming are NO LONGER AVAILABLE. Sorry!!!!! ONE EXCHANGE IS FULL but the second needs....1 from Montana, New Hampshire, and Vermont. All entries are date stamped into a spreadsheet. I took the first name submitted until spots were filled. Click here to look for state and last name. Once all spots are filled, I will send an email confirmation. You will need to reply, confirming your participation in the exchange. If a response is not received, I will take the next name on the list. I have to be firm! 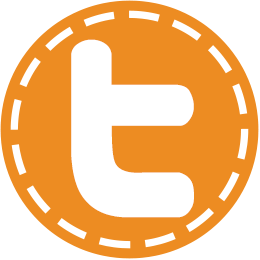 Link here for exchange participants! 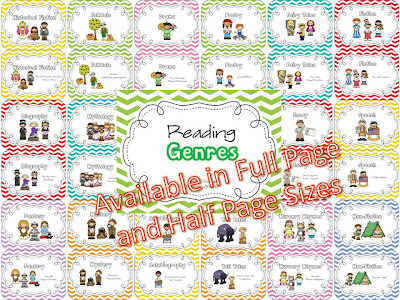 Links available to freebie and unit in message above! I just got my hands on this little gym tonight. Click image for link to Kelley's Store! Wholeness of text can refer to 'keeping the end in mind'. Katie states, "From the first word, to the last, whether there are fifty words or fifty thousand, a writer must always keep the text she is crafting in mind as a whole. No part stands alone." 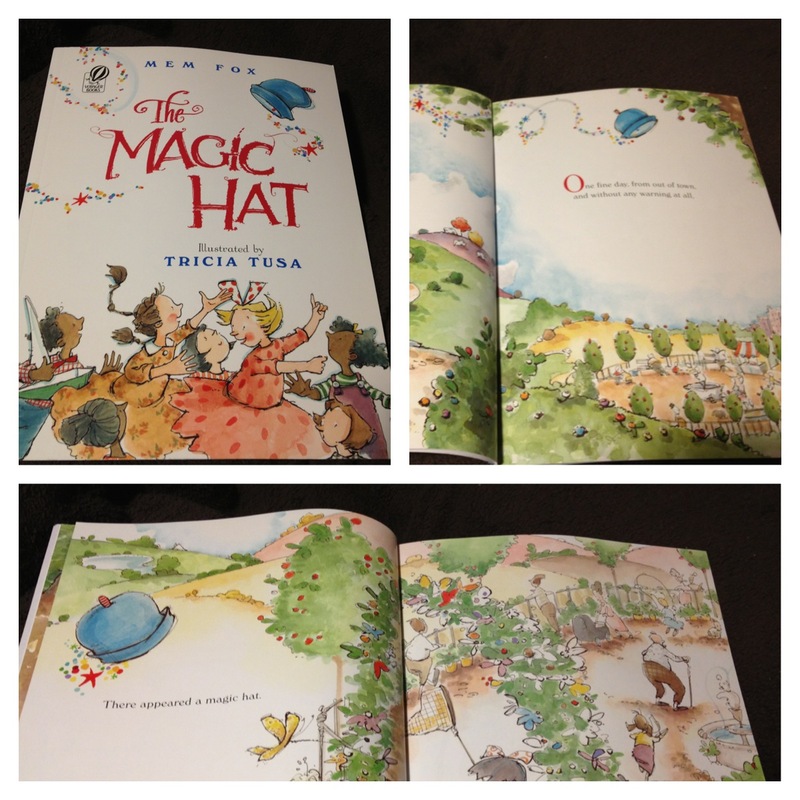 An illustration should satisfy the same journey as the author by showing how the images interact with the text. I've found many examples of her techniques within Predictable Books. The link will list book recommendations for each of the below categories. Chain or Circular Story: Plot is interlinked so that the ending leads back to the beginning. Familiar Sequence: Organized by recognizable theme, such as: days of week, numbers, etc. Pattern Story: Scenes are repeated with some variation. Question and Answer: The same or similar questions are repeated throughout the story. Repetition of Words, Phrases, Questions & Sequences: Word order in a phrase, sentence, etc. is repeated. 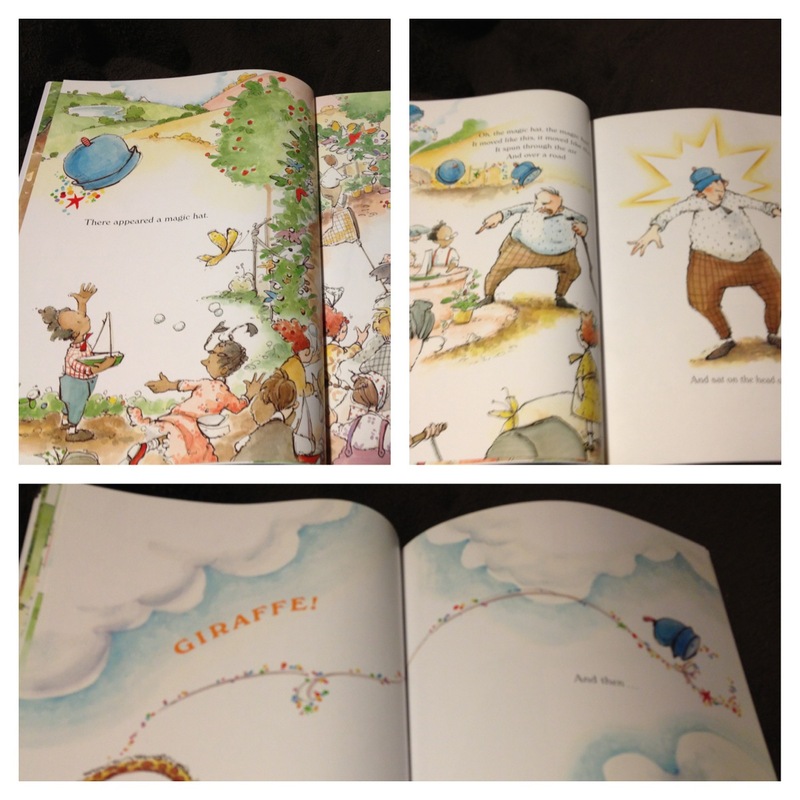 Rhyme: Rhyming words, refrains, or patterns are used throughout the story. 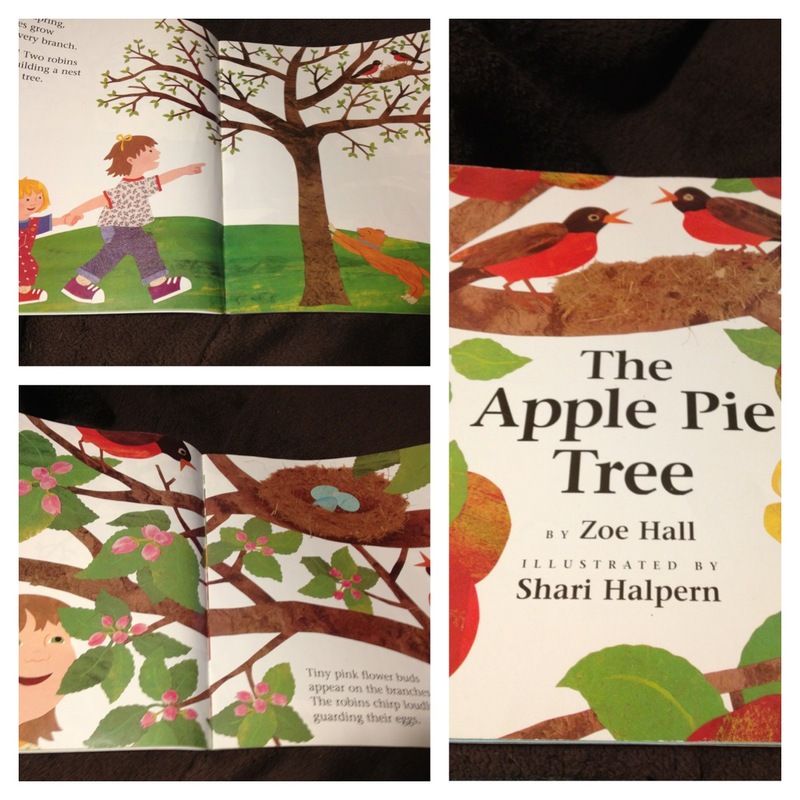 In the Apple Pie Tree by Zoe Hall, the birds play a role in the seasons that pass. The books is not about the birds but rather the cycle of the the tree. The illustrator is keeping tone, technique, layout, design and details consistent across the text. As the spring season develops, the pictures zoom in to see more detail on the trees and the birds are closer in appearance showing the nest and eggs. As changes occur (flowers blooming, petals falling), you'll begin to see changes with the baby birds taking flight. 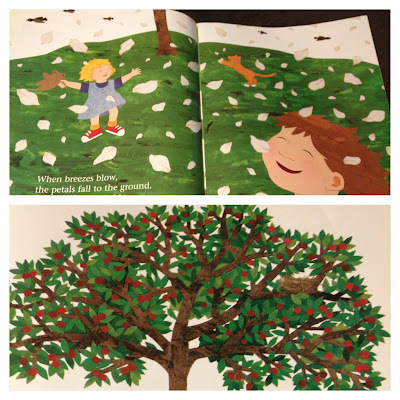 I love that the final picture shows an autumn tree with an empty nest. There are no visible birds but the understand that they belong within the setting. The Magic Hat is another with a repeated illustration. The hat floats in front of the stars. The stars represent the magic. You can grab my final copy with all techniques through chapter eight below. I've decided the illustration study has develop too much depth and cannot be accurately represented with clipart. For my IPDP (individual professional development plan) for the 12-13 school year, I'll host the book study with faculty at my school. My principal requested that I show student pieces as the illustration study progresses in school. I will feature a Writing Wednesday segment that shares pictures of various techniques from our class illustration study. This chapter began with understanding three ways to read a book. This lesson is broken into two days: two ways to read a book (day 1) and retelling (day 2). 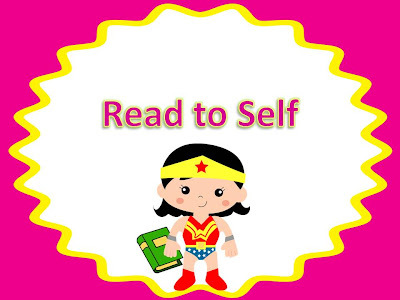 To assist, I created posters for Read to Self. As you may recall from my post on chapter one, my theme for the school year will be superheroes. I wanted to create the center/work station poster to fit the theme. I like that the sister practiced read to self with 3 minutes to allow students the feeling of success. When I meet my goals, I create new goals. Why shouldn't this sense of accomplishment be the same for a students' reading success!?! The discussion check points are the key to a successful implementation of Daily 5. Building a sense of right and wrong through demonstrations and I-chart. 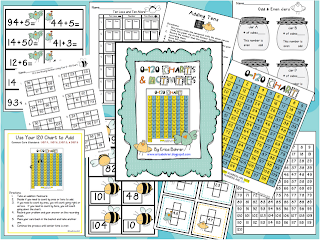 You may recall the download on my post for chapter two which has suggestions for charting behaviors and graphics that can be used to enhance your anchor chart. 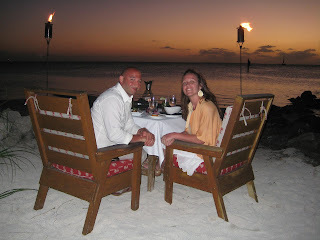 Lory, Lindsey, Anna, and I will be back on Monday with post for chapters 5 and 6.